Jake has been wrestling since 1977 and coaching catch-as-catch-can since 2003. 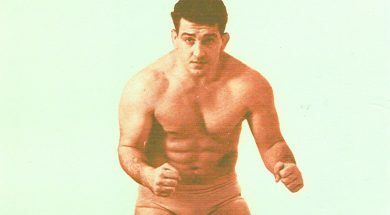 He was a Professional Wrestler from 1999 - 2006, is the founder Scientific Wrestling, head coach of the Coaching Catch program (co-developed with Billy Robinson), primary coaching assistant to Billy Robinson (2007 - 2014)and founder of the King of Catch Wrestling Championships, co-developed with Karl Gotch. Jake is also the president and co-founder of the USA Catch Wrestling & International Catch Wrestling Federation, Shamrock Submission Fighting, Level 2 certified and the best-selling author of Say Uncle! : Catch-As-Catch-Can Wrestling and the Roots of Ultimate Fighting, Pro Wrestling & Modern Grappling, and Physical Chess: My Life in Catch-As-Catch-Can Wrestling.